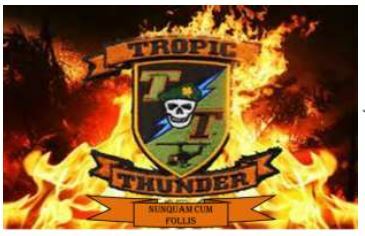 This site provides unclassified, non-FOUO resources, and research support for the MCU Command & Staff College Spring Exercise: Tropic Thunder 2019. This site provides external links as a convenience to our users. The appearance of external hyperlinks on the Library of the Marine Corps website does not constitute endorsement by the Library of the Marine Corps of the linked websites, or the information, products or services contained therein. The Library of the Marine Corps does not exercise any editorial control over the information you may find at these locations. British influence and control over what would become Nigeria and Africa's most populous country grew through the 19th century. A series of constitutions after World War II granted Nigeria greater autonomy; independence came in 1960. Following nearly 16 years of military rule, a new constitution was adopted in 1999, and a peaceful transition to civilian government was completed. The government continues to face the daunting task of reforming a petroleum-based economy, whose revenues have been squandered through corruption and mismanagement, and institutionalizing democracy. In addition, Nigeria continues to experience longstanding ethnic and religious tensions. Although both the 2003 and 2007 presidential elections were marred by significant irregularities and violence, Nigeria is currently experiencing its longest period of civilian rule since independence. The general elections of April 2007 marked the first civilian-to-civilian transfer of power in the country's history and the elections of 2011 were generally regarded as credible. In January 2014, Nigeria assumed a nonpermanent seat on the UN Security Council for the 2014-15 term.